Horse Classified Picture Ads for Free! Very smart 6yr old 17.1hh warmblood by Warrant. 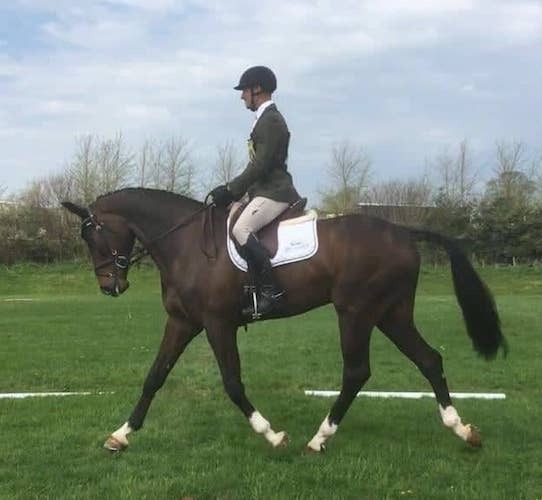 This horse has been produced very nicely and is showing great scope and talent for the eventing field. Has also been successful in the showjumping ring so could indeed transfer across to straight showjumping if required. Half brother is competing in the states at 1.40m. Very nice flat work and also has a half brother competing at Grand Prix level in dressage. Very talented horse who has run to CIC* level with a good solid record. Will be ready to move up to Intermediate this season. Very scopey and has a huge heart and very brave XC. Showing all the necessities needed for a top level event horse. Record can be viewed both on BSJA and British Eventing sites under Hisco. Open to full vetting and x-rays. kindly contact us with your email address so we can quickly contact you thanks.